Keeping the requirements of students and teacher in mind, Apple launches new iPad that will help nourishing student’s creativity. Backed with innovative features, the new iPad is discounted for schools at the approximate price rate of 19,400 INR ($299) and for consumers at the roughly price rate of 21,300 INR ($329). 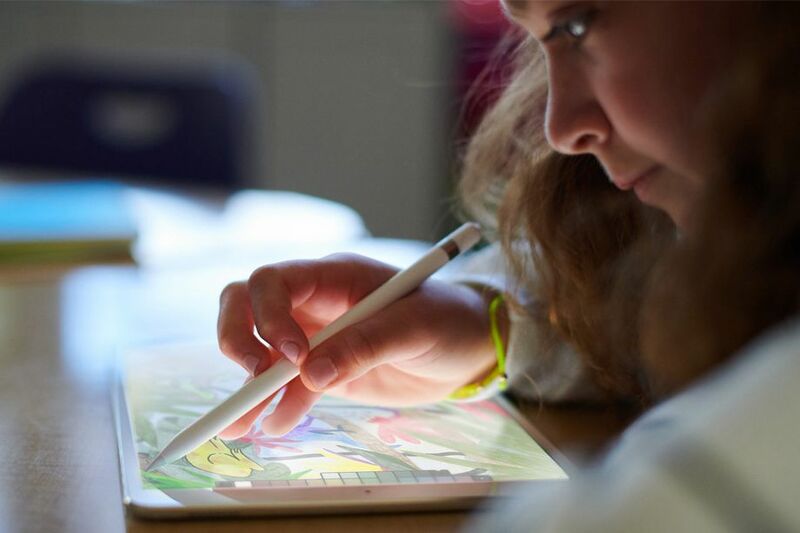 With a screen size of 9.7-inches, the latest iPad supports Apple Pencil Stylus to help students create motivating learning experiences. The latest Apple iPad is powered with Apple’s A10 Fusion chip and connectivity options include 4G LTE, Wi-Fi 802.11ac, Bluetooth v4.2, and A-GPS. Like students, the new iPad is equally helpful for teachers. It is developed with exciting tools that make easy for teachers to guide students in the classroom. With the flexibility of such tools and apps, teachers can easily provide an in-depth on the subject to each student. Moreover, the device comes with a ‘Teaching Code’ feature that helps students to learn about coding in a much easier way possible. Apple has created ‘Everyone Can Code’ program to ensure teachers teach coding to students in a much effective manner. The latest Apple’s iPad is currently available for order in some countries that include US, UK, Canada, Germany, France UAE, and others. In countries like India, Thailand, and Russia, the device will be available for order in the month of April. Apple’s new iPad comes in different variants of colors including Space Grey, Gold Fish, and Silver. As far as battery is concerned, the device supports near about 10 hours of battery life. With such high-end features, this new Apple’s tablet is worth buying to enhance the creativity and learning abilities of your children. Not only this, Apple has always been developing innovative tablets to cater need of their users across the globe. Besides, Apple tablets come with sleek and striking design, adding a charisma to your style persona.